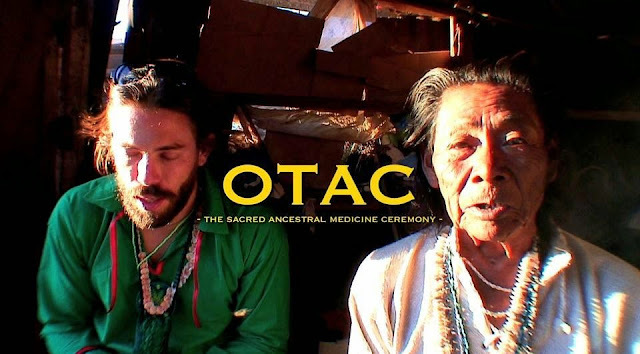 "OTAC - The Sacred Ancient Medicine Ceremony" is a documentary film in the making, by Leonardo Bondani & Octavio Rettig. Over the past eight years, Dr. Rettig has been conducting research on the ancient sacred use of 5-MeO-DMT in the Sonora desert. Three years ago, he re-introduced the use of this medicine to the Seri Tribe to successfully treat methamphetamine addicts. He learned the ancient rituals, chants and rites of the Seri tribe and became an apprentice of "Don Pancho," a Seri elder shaman. By combining the chants he was given as a gift from the Seri people, with the "Sacred Medicine" he created a therapy technique. He now performs this "Ancient Sacred Medicine Ceremony" authorized by the council of elder Seri shamans, to treat addicts, and also to initiate adepts from around the globe into the spiritual realm. Dr. Rettig has been successfully using this "sacred medicine" in therapy sessions (hundreds of them documented) for thousands of people. He has also used this therapy effectively on crystal methamphetamine addicts where it affects neural receptors. The addicts no longer crave the drug and it opens a spiritual gateway for them. Dr. Rettig a physician and surgeon (author of the book "Bufo Alvarius, The Toad from Down") is currently traveling around the world, speaking at conferences about his research on the ancient use of a powerful substance extracted from the Sonora desert toad (and its relation to the evolution of man), under the auspices of the United Nations and the World Health Organization. Some interesting information about the Psychedelic Toad, Otac or Bufo Alvarius and 5Meo DMT by Dr. Octavio Rettig ! It is urgent to preserve the vanishing culture and ancient knowledge that the Seri people have almost forgotten, now alive in just a few of elder shamans who remember how to guide the initiate into the spiritual journey of the soul. We are the first film crew ever to be granted full permission to capture and preserve these sacred rituals and scientific investigation for a global audience. We have created a short video-trailer as an approach to the final film, which was filmed on our first expedition on the winter solstice of December 2013. On that expedition, Dr. Rettig and director Leonardo Bondani were personally invited by the King/President of the Seri tribe to return for the New Year’s two day-long celebration on June 30 and July 1, 2014 in Punta Chueca, Sonora Mexico, an autonomous nation (and a closed area to the public, national government, agencies and institutions). This is the most important date of the year in which the Seri people perform their dances and chants in full regalia attire and their famous face paint. We filmed the rest of this documentary on those days to include this ceremonies and interviews at the site with Dr. Rettig himself, the tribal leaders and shamans. Dr. Rettig and Bondani funded the first and second filming expeditions and produced the trailer with money out of their own pockets. We urgently need your donations and support to finish the editing and postproduction of this project. Your contribution will help document and share with the rest of the world the chants, dances, rituals and knowledge of the Seri tribe, Dr Rettig’s research, and the findings on the almost forgotten Ancient Sacred Medicine Ceremony. Getting this film done will help in the future create "transformation centers" in communities affected by addictions, to facilitate therapy sessions with the method developed by Dr Rettig. Bondani has 20 years of experience directing documentaries, educational TV series, cultural tourism promos, music videos and visuals for massive concerts. He has filmed in major cities in Europe, the U.S. and South America, in harsh conditions from rain at several Mexican pyramids and the jungle, to the arid Egyptian pyramids and the Sahara Desert. Recently he filmed a documentary about “The End of a Baktun, Mayan Calendar" ceremonies at the pyramids of Teotihuacan, Mexico featuring Don Miguel Ruiz (author of the book "The Four Agreements") and just finished a documentary about the 20th anniversary of the Zapatista guerrilla movement in Chiapas, Mexico. Some of the people Bondani has documented include: Dalai Lama, Noam Chomsky, Octavio Paz, Rufino Tamayo, Sub-Comandante Marcos, Jose Arguelles , Alberto Ruz, Antonio Velazco Piña, Lila Downs, Hugh Masakela, Poncho Sanchez, Andre Rieu, Adrian Belew, Jon Anderson (Yes), Peter Gabriel, David Byrne, Moby and many more. Bondani also met with the late Carlos Casteneda (author of “The Teachings of Don Juan.”) in person.